Including the newest, clinically tested, knee arthritis treatment in the country. Dr. Radnovich was the FIRST DOCTOR IN THE U.S. to use a new device that can precisely chill the nerve that carries pain signals from the knee. This process is so innovative that Dr. Radnovich is listed on the patent application. Cooling the nerve stops the transmission of pain signals, so the pain is eliminated. The elimination of knee pain lasts from 2 to 6 months. While the pain is gone you can be more active, get more exercise again and get their leg muscles stronger. You can get control of your knee pain. For the past several years, this treatment was only available if you were part of a research project. Now the treatment is available to everyone. Call us today to schedule your consultation. Confused about treatment choices for knee arthritis? You are not alone. If you have knee pain from arthritis, you might be confused by all the treatments that you see advertised. Or you might be discouraged by the results that you have had. The first thing you need to know is that Injury Care Medical Center and Dr. Radnovich has firsthand experience with just about every treatment that is currently available. From prescribing medications to directing physical therapy; from being a part of the surgical team to holistic therapies, Dr. Radnovich has done it. He can guide you through the maze of choices and help develop a treatment plan that is right for you. You might also find it comforting that, in addition to using tried and true treatments, Dr Radnovich is involved in clinical research. In fact, he has helped develop some of the latest therapies to treat knee pain. 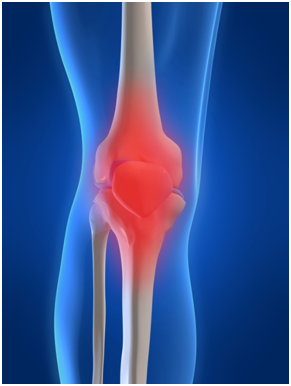 If you are interested in participating in a clinical trial for knee pain, click here. Contact us for more information or call 208-939-2100 to make an appointment. "They helped me when no one else could. I highly recommend them."